We've made some changes to the way our support team operates over the past few months, so we can improve the support we provide letting agents, tenants and landlords using the Goodlord platform. Over the past few months, we’ve been hard at work improving the support we provide letting agents, landlords and tenants who use the Goodlord platform. It’s working, too - last quarter, the average queue time for our users was 1 minute and 20 seconds. This quarter, the queue time is down to an average of 49 seconds for each of the 1850 queries we receive by phone, email and WebChat every week. 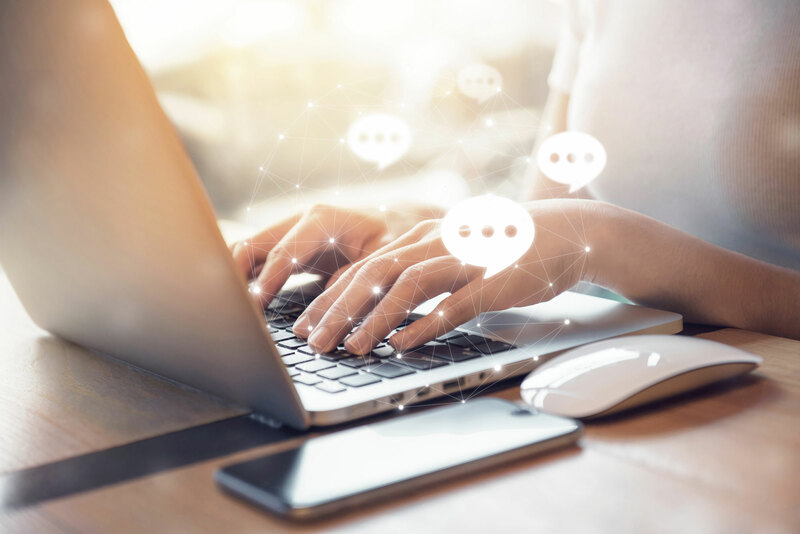 It might seem basic, but having the right number of support agents on the right channels is not always easy, especially when you’re handling live chat, email and phones. What can make it even more difficult is fluctuating daily and weekly volume trends, meaning that what might seem like enough people on the phones at one time of the day, might be insufficient when you get a spike of calls over lunchtime or at the end of the week. We started by overhauling the operations of our team on the ground, using scheduling based on data to ensure we have the right number of support agents on the right channels at the right time. This makes the support team far more robust - if we have a clear schedule at the beginning of each day saying which person in the team is on which channel, we work as a more organised team, rather than jumping from one channel to the other depending on spikes. Once you have a rota that uses historical data, it’s time to stick to it! Again, this might seem like a given, but when you’re working in a fast moving company, things can change a lot. However, when there’s an unrelenting stream of support queries, removing even one support agent for an hour will have an effect whether you like it or not. Having a fixed rota may not seem very “start-up” but it allows time for personal development and departmental improvement projects, rather than people just working on things between calls. We call it Project Time and it is a crucial part of running a motivated and high performing customer support team. When you think of great customer support, there are a few things that are really important. Often overlooked is actually getting through to the support team in the first place. Everyone has ended up shouting at a robot asking them to spell out their problem using the Nato phonetic alphabet! Or gotten through to that sweet, sweet dial tone, only to spend the next 15-20 minutes of their life listening to crappy hold music. Then there is the quality of resolution once you get through to someone - this is where the true knowledge and training is key for every support agent. So with speed and quality in mind, we need to set clear goals so our support agents know what to focus on. They know what is an acceptable hold time for a call in a queue and how much training we need to do to ensure people aren’t calling again with queries they should be able to solve themselves. Once these goals have been set for your team, it’s time to shout them from the rooftops - get them put on t-shirt and, most importantly, have big visible dashboards every team member can see. We all know the saying “out of sight, out of mind”, so don’t let that happen. We set the goals with a quarterly cadence that allows us to push hard but also have short enough cycles to stay agile. A good worker never blames their tools but, when continuous improvement is one of your company values, it’s important to review the technology we use and ask if can we do better. That’s why we’ve also been maximising our technology capabilities, including smart call routing and developing Goodlord’s WebChat to be more reliable and become the main channel of contact for all our users. We’ve recently doubled the number of agents talking to our users on WebChat between 10am to 4pm each weekday, which is proving to be a popular way to get in touch with us - particularly for our younger tenants. Generation Renters are used to communicating with their friends and family by text message, so it makes sense that they also prefer this this medium of communication when it comes to interacting with any form of customer service. This is reflected in the stats, which show that on the first Monday of our increased capacity on WebChat, there was a 20% drop in calls on the previous Monday, and a momentous 25% jump in WebChats. This has spurred us to continue to develop Goodlord’s WebChat to provide the best online support possible - not just for our younger users, but those who are currently less as comfortable asking for help by WebChat. We want everyone to feel confident their query can be solved online, without the need to make a phone call. We are, after all, an online app, so if we can provide support from within Goodlord, it will become a lot easier for us to link to help and support articles in our responses, or see a user’s history so we have context to help solve user’s problems faster. We will be updating our chat functionality very soon to offer you a high quality of support and allow us to handle more tickets with less support agents which will ultimately result in a higher quality of support for you our customers. But don’t worry - you won’t be speaking to a useless chatbot that doesn’t understand your questions. Consistency: We build scheduling that uses data to ensure we have the right number of people on the right channels at the right time. Transparency: Clear goals and targets mean everyone understands our targets. Technology: Doubling down technology so we can better leverage the tools we have available. Katie helps to streamline operations within the Customer Support team, which is ironic because she's often the one in need of support herself. She is also curator of Goodlord's art gallery, the Kate Modern.